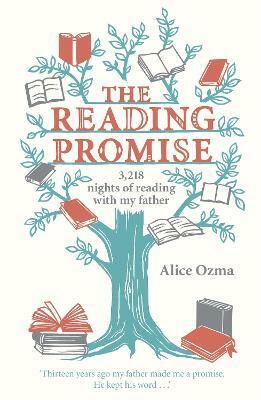 When Alice was nine years old, she and her father - a beloved school librarian - made a promise to read aloud together for 100 consecutive nights. Upon reaching their goal, they celebrated over pancakes, but it was clear that neither wanted to let go of what had become their reading ritual. They decided to continue what became known as The Streak for as long as they possibly could. From L. Frank Baum to Dickens to J.K. Rowling to Shakespeare, Alice's father read to her every night without fail until the day she entered college, a remarkable eight years later. In this deeply affecting memoir, Alice tells the story of her relationship with the extraordinary man who raised her - from his steadying hand on the back of her wobbly bike to his one-man crusade to keep reading in schools - the words they shared and the spaces in between. Alice poignantly illustrates the unbreakable parent-child bond, the books they treasured, and the life lessons learned along the way. Alice Ozma, a Rowan University graduate, lives surrounded by world-class libraries and bookstores in historical Philadelphia, Pennsylvania. She is passionate about literature, education and working with children. Follow her on Twitter at twitter.com/aliceozma, like her on Facebook at www.facebook.com/AliceOzma and find out more about her and The Reading Promise at www.makeareadingpromise.com.